Add good old-fashioned simplicity to your slumber. 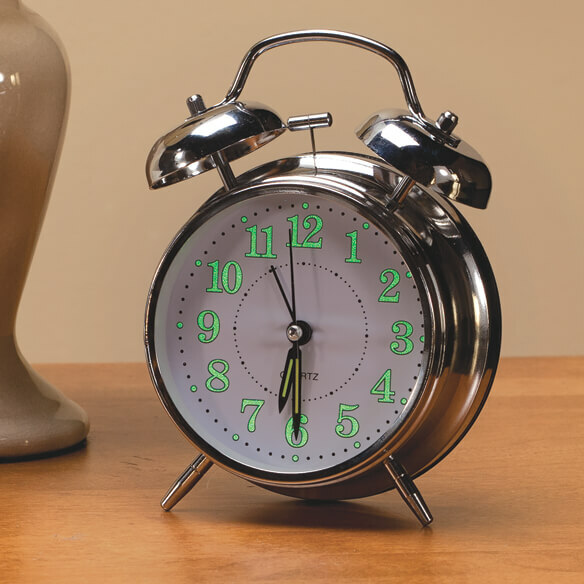 Vintage glow-in-the-dark alarm clock features a metal body and glow in the dark numbers and hands, including a second hand. For those times when you need greater visibility, the retro alarm clock lights up with the touch of a button. Loud, dual-bell alarm wakes up even the heaviest sleepers. 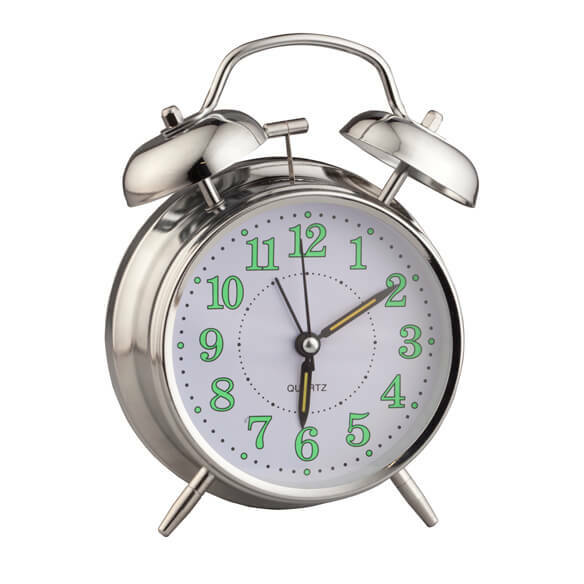 Glow-in-the-dark clock measures 4 1/2"dia. x 6 1/2"H.
The glow in the dark seemed yo be useful. Want to be able to know the time I wake up in the middle of the night. Is it difficult to set it ?